March data indicated a moderate improvement in operating conditions across the Myanmar manufacturing sector. Although the headline figure dipped slightly from February, the reading was above the series trend. Overall growth was supported by sustained upturns in output, new orders and employment. Furthermore, the rate of job creation was the fastest for 12 months as firms reported a rise in production requirements. The first quarterly average of 2019 signalled the strongest overall expansion since the second quarter of 2018. Production at manufacturers continued to rise in March, extending the current sequence of growth to five months. The latest upturn eased from February’s recent high, but was solid overall. New orders also rose further in March. Although the pace of expansion softened from February’s ninemonth high, it was solid nonetheless and above the series trend. 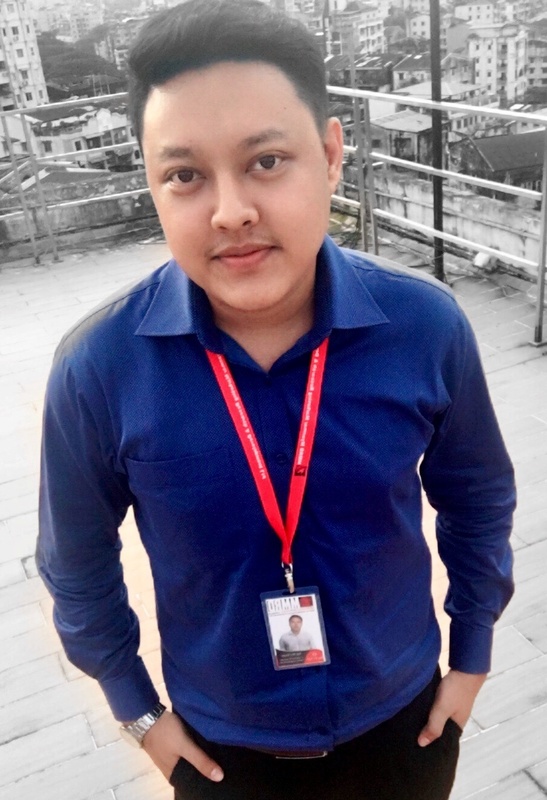 Manufacturing firms noted that the upturn in new business stemmed from more favourable demand conditions across Myanmar’s regions. Consequently, goods producers expressed a greater degree of optimism in the outlook for output over the coming 12 months. The level of optimism picked up from the muted levels seen since last October amid predictions of a stronger expansion in the garment producing sector. Finally, manufacturers expanded their buying activity following a sustained increase in new business. Stockpiling efforts were also reportedly employed, as pre-production inventories rose for the first time since May 2016. 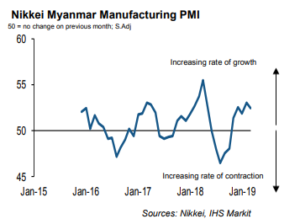 “Manufacturers across Myanmar were more upbeat in March, as firms registered solid expansions in output and new business. The end of the opening quarter of 2019 also signalled a faster rise in employment, as a sustained improvement in client demand fed through to greater production requirements.